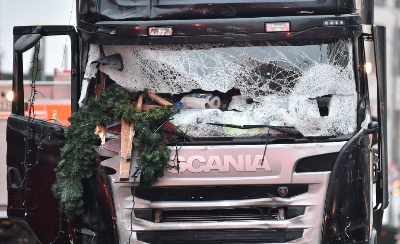 Twelve people have died in Berlin after a truck ploughed into crowds on Monday evening. This is believed to be an act of terror perpetrated by Naved B, a Pakistani refugee. Europe has been on high alert due to a heightened risk of terror attacks at Christmas-related events. US President-elect Donald Trump was quick to highlight the religious angle, but German authorities have advised caution on ‘the choice of words’. What is going on in Berlin? “A lunatic has driven into the Christmas market. People are screaming. It is carnage.” ~ A distressed eye-witness. A lorry was used as a weapon of terror in Monday evening’s attack. The market is at Breitscheidplatz, close to the Kurfuerstendamm, the main shopping street in Berlin's west. This being the Christmas season, the market was more crowded than usual with locals and tourists. The violent crash happened in the shadow of the Kaiser Wilhelm Memorial Church, which was damaged in a World War Two bombing raid and preserved as a symbol of peace. 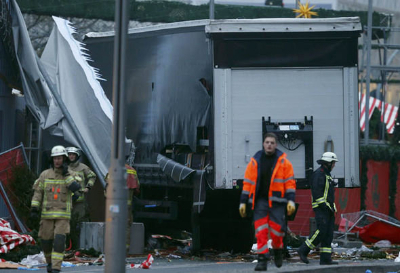 Twelve people were killed and 48 others injured as the lorry - a large black Scania - tore through the market for as far as 80 metres in the incident which came less than a week before Christmas. The lorry is believed to have been loaded with steel when it left for Berlin, which – according to transport experts – would have made it more deadly. Doctors treating patients at the scene and in clinics across Berlin reported a high number of fractures and internal injuries – including bleeding and damaged organs. Many of the injured are in a life-threatening state; so off-duty doctors across Berlin were being brought in. It was the city’s worst 'attack' in more than a decade. The outcome of this attack may be negative for Chancellor Angela Merkel who is seeking re-election in 2017. 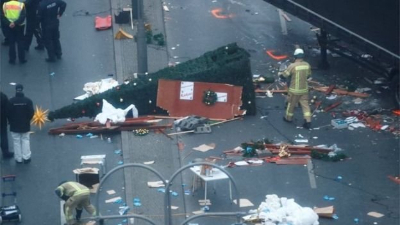 Berlin police are calling it a ‘probable terrorist attack’ until they know better. Why is this being treated as a ‘probable’ terrorist attack? 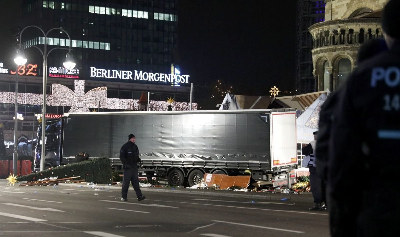 Police have confirmed that they are treating an incident at Berlin’s Breitscheidplatz as a “presumed terrorist attack”, saying they are working on the assumption that a truck was “intentionally” driven into a Christmas market. They also said a dead body was found inside the truck, identified as a Polish citizen. He is most likely the driver of the lorry which was hijacked by the attacker. The Polish company that owns the truck said its 37-year-old driver, who was transporting steel beams, had been due to take a break in Berlin but had not been heard from since early Monday afternoon. The German interior minister, Thomas de Maizière, said in the hours after the attack the evidence had not yet made it clear that it was deliberate, though it was likely to have been one.“We don’t yet have anything conclusive regarding the circumstances and the course of events ... I don’t want to use the word ‘attack’ yet although a lot points to that,” he told. German media was abuzz with claims that the lorry driver was from Afghanistan or Pakistan and had entered the country as a refugee in the past year. German police and ministers were careful in not associating the tag of ‘Islamic terror’ with the attack. However, that did not stop US President-elect Donald Trump to squarely blame “Islamist terrorists”. Of course, he did not offer any evidence to support his claim. In fact, he delivered his judgment even before Berlin police called it a ‘probable terrorist attack’. He said:“Our hearts and prayers are with the loved ones of the victims of today’s horrifying terror attack in Berlin. Innocent civilians were murdered in the streets as they prepared to celebrate the Christmas holiday”. This is exactly the kind of problem Germany does not want to have - blaming the act of an individual on an entire community. Germany knows the perils of radicalization and racism better than any other country in the world. When was the prime suspect identified? There were reports of Berlin police detaining an unidentified man near the Victory Column monument who wanted to "find shelter in the darkness of the park". Footage posted on the internet showed police putting the suspect into a van with a sheet over his head. He has now been transferred to Karlsruhue to be quizzed by Germany’s top federal prosecutor. It is claimed that a heroic bystander chased the suspect for more than a mile before pointing him out to police in the park. It is interesting to note that the attack has not yet been officially claimed by ISIS or any other terror group, and could have been a “lone wolf” attack inspired by Islamist extremists’ propaganda. German media have now named the driver as Naved B, a 23-year-old Pakistani immigrant who arrived in the country in December 2015 from the Bavarian border as a refugee. The suspect had been living in Flughfen Tempelhof – an old airport converted into a refugee centre. He was reportedly known as a petty criminal but authorities had not considered him to be a terror suspect. The information has not been confirmed by the police, who have yet to give information on the alleged offender. The fact that he is a refugee will become a political burning point in the coming days. Bavaria's interior minister Joachim Herrmann called for a review of the country’s refugee policy “if the person behind the alleged attack had indeed sought asylum in Germany”. Klaus Bouillon, Germany's interior minister also spoke on similar lines to Saarland radio:"We must say that we are in a state of war, although some people who want to see only the good cannot see”. Where else has a similar attack been carried out? The tragedy has parallels to the terrorist attack in Nice, France on 14 July 2016, in which a driver ploughed through the Bastille Day crowds, killing 86 people and wounding 434. The driver was Mohamed Lahouaiej-Bouhlel, a Tunisian resident of France. The attack ended following an exchange of gunfire, during which Lahouaiej-Bouhlel was shot and killed by police. French authorities said that Lahouaiej-Bouhlel had been inspired by ISIS propaganda but no evidence had been found that ISIS orchestrated the attack. This makes Bouhlel a lone wolf terrorist. Five hours after the attack, French President François Hollande announced an extension of the state of emergency (which had been declared following the November 2015 Paris attacks) for a further three months, announced an intensification of the French military attacks on ISIS in Syria and Iraq, and suggested the attack might have been Islamic terrorism. Note: A lone-wolf terrorist is someone who prepares and commits violent acts alone, outside of any command structure and without material assistance from any group. However, he or she may be influenced or motivated by the ideology and beliefs of an external group, and may act in support of such a group. These terrorists are becoming increasingly lethal. The attack at the Orlando nightclub that killed 49 in June 2016 was carried out by a single gunman, Omar Mateen. Until the Nice attack, the most lethal terrorist attack in the West carried out by a lone terrorist was by Anders Breivik, a Norwegian neo-Nazi who killed 77 people in 2011.
Who will benefit from this, politically speaking? 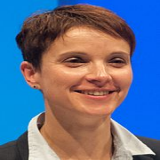 Frauke Petry, president of the far-right Alternative for Germany (AfD) party, said in a Facebook post that "the horror has arrived" after a truck drove into a crowd of people in what police believe may have been a deliberate act. She also spoke against the “politically correct” calls for people not to give into "hate and anxiety". She said what happened was an attack on "our freedom and way of life" and also "our Christian tradition". 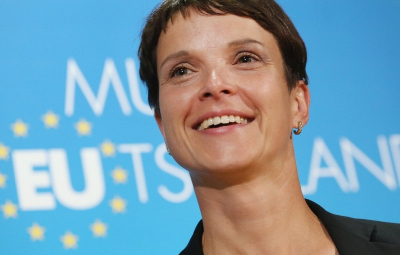 Petry is noted for her anti-Muslim views and for her calls to ban minarets, and for arguing that German police should use firearms "as a last resort" to prevent illegal border-crossings. The rise of Alternative for Germany (AfD) has normally been attributed to popular anger at Angela Merkel’s refugee policy. After Germany let in nearly 900,000 refugees in 2015, the AfD saw their polling figures jump from the single digits up into the mid-teens. The German public was at first largely receptive to the people fleeing war in Syria, Afghanistan and other countries. But mass sexual assaults of women over New Year in Cologne and other cities, widely reported as being carried out by men of North African or Arab appearance, soured the public mood. The victories of the far-right parties across Europe, the anti-globalisation wave symbolized by Brexit and the election of Donald Trump have lifted the hopes of AfD to outperform expectations in the 2017 Federal Elections. How has the truck emerged as a weapon of terror? There was a time when authorities used to fear bombs on trucks. Now they may have to fear the truck itself. 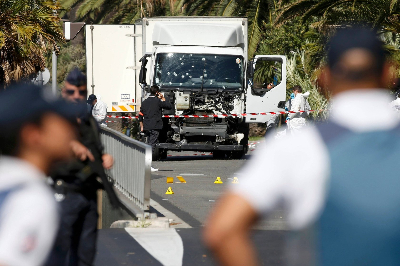 The tactic has been adopted by jihadist terrorists in the West, including in the United States, but the lethality of these attacks was relatively low - until the 2016 Nice attack that has killed at least 84. The technique of using vehicles as weapons has been frequently employed by Palestinian terrorists targeting Israeli citizens. The terrorists are evolving. They are brain-washing vulnerable young men through the internet by suggesting ‘do it yourself’ techniques for inflicting mass casualty.